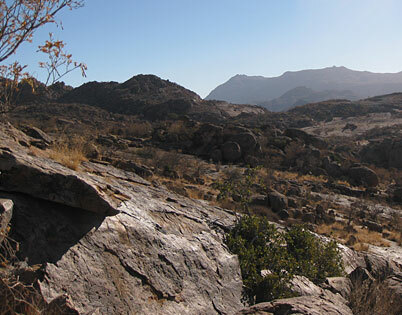 The ERONGO Mountains, located at the heart of Namibia, half way between Windhoek and Swakopmund, are one of the oldest volcano crater mountains in the world. 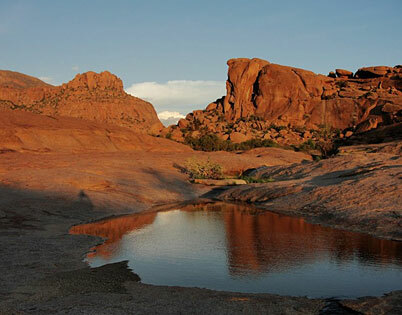 The area has retained much of its original beauty and pristine nature, despite the presence of people and the closeness to the small town of Omaruru. Impenetrable scrubland as far as the eye can see, still home to a largely unspoilt animal and plant world, is interrupted by majestic heights with inaccessible gorges and gigantic rock formations. 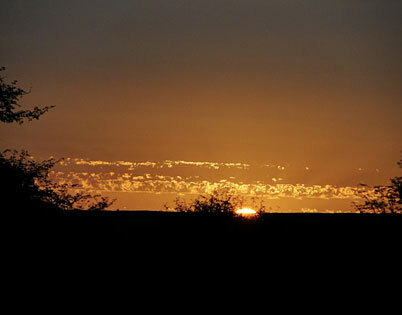 In this largely unspoilt countryside, species of game such as the Black Rhinos, Black-Nose Impalas, the Greater Kudu, Oryx, Hartmann’s Zebras and Klipspringers have their home since time immemorial, are hunting Leopards, spotted Hyenas and Brown Hyenas, also called Beach Wolf, are living Springboks and Warthogs, as well as many other representatives of wildlife as well as occasionally once again elephants. 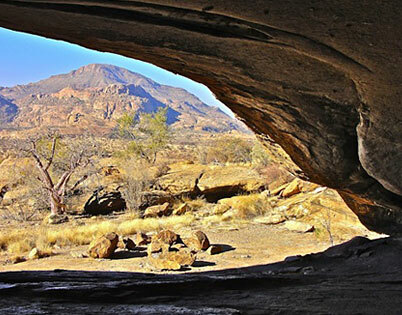 That the Erongo has been home to people for thousands of years, is suggested by numerous petroglyphs, artfully manufactured by Bushmen long before our era. 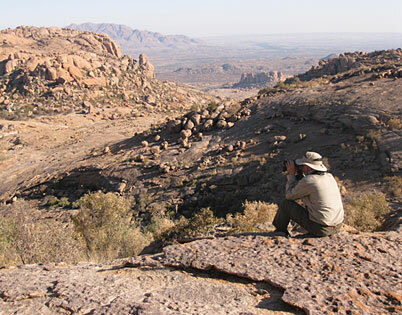 In the Erongo Mountains, a unique protection project was launched several years ago through the initiative of dedicated hunters, nature lovers and landowners, which has set itself the goal to reintroduce the Black Rhino, which was originally naturally occurring in this area until 1974. 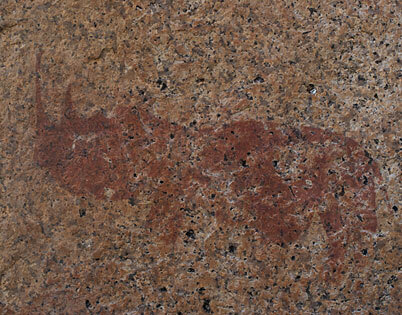 For this purpose, the ERONGO MOUNTAIN RHINO SANCTUARY TRUST OF NAMIBIA was founded. It is the aim of the trust to provide a natural way of life in an area as large as possible, related to the species occurring there. For this purpose, the members of the trust - mostly farmers, private landowners and guest farms - must undertake to remove all fences on their land and renounce any commercial livestock. By doing so, habitat-protection and habitat-networking shall be combined. 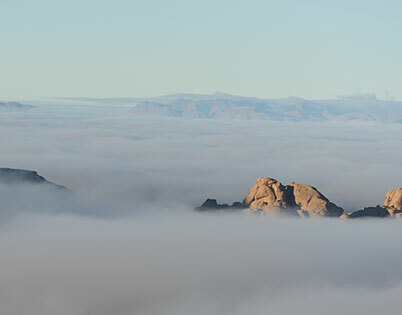 A nationally approved private reserve with an area of more than 200,000 hectares was created by the implementation of these commitments, and which, open to the Namib-desert, allows wildlife once again to develop uninterrupted and to migrate naturally in these habitats. 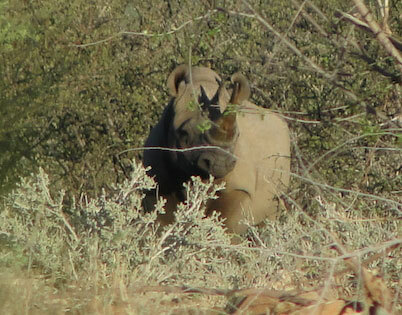 In collaboration with the Nature Conservation Agency, elsewhere in Namibia captured rhinos were reintroduced. As a second animal species which is especially worthy of protection, the rare Black Nose Impala has also been resettled. If elephants will also remain in the reserve once more, wildlife would be largely restored in the way that Bushmen found it to be thousands of years ago. Of course it is not enough to simply reintroduction endangered species and to remove fences. Such reserve must be well attended to. There's the unfortunately ubiquitous fight against poaching, fences to protect against human assaults, but also for the safety of traffic, must be built on the borders of the region. Watering holes must be created and maintained, and paths must be cut through the Bush in order to be able to monitor the area. All this costs a lot of money and is currently primarily maintained by the funds of the members of the trust and the income from hunting use of the area as well as private donations. The project proves that selective hunting is a practical concept of applied conservation. 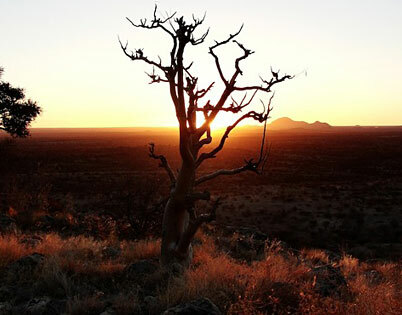 In order for interested conservationists, especially hunters who feel committed to nature conservation, being able to support the project with donations from Germany easily, the non-profit foundation of the ERONGO MOUNTAIN RHINO SANCTUARY TRUST OF NAMIBIA e.V. was founded in the year 2013. All incoming donations - of course in exchange for a donation certificate - are used solely for the promotion of this unique project. This is especially for dedicated hunters an excellent opportunity to show the broad public that hunting can work very well together with nature conservation. The ERONGO MOUNTAIN RHINO SANCTURARY TRUST OF NAMIBIA is also the spiritual carrier of the ERONGO directory for African game. The name is dedicated to the working party of experienced African professional hunters as well as to the journal published by them, which is at the same time the official communication organ of the EMRST. 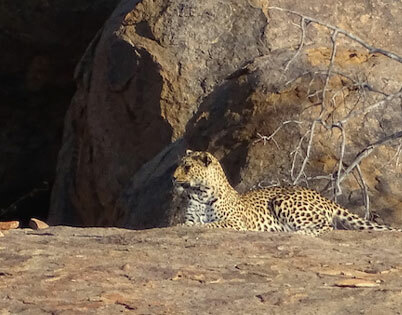 The ethic of hunting also includes the criteria of the working group of experienced African hunters and professional hunters for a sustainable use of natural resources by hunting, and is published by them in the ERONGO directory for African game. The EMRST supports this working group regarding the development of these criteria. 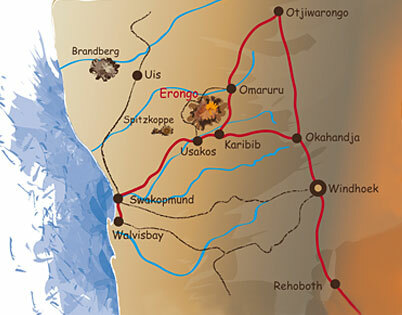 It also supports the publications of the ERONGO directory, at the same time as its official organ of communication. The ASSOCIATION of the ERONGO MOUNTAIN RHINO SANTUARY TRUST OF NAMIBIA e.V. is committed to the task to support the ERONGO MOUNTAIN RHINO SANTUARY TRUST OF NAMIBIA and the ERONGO directory for African game sustained by it, regarding the realization of its aims with all its might. 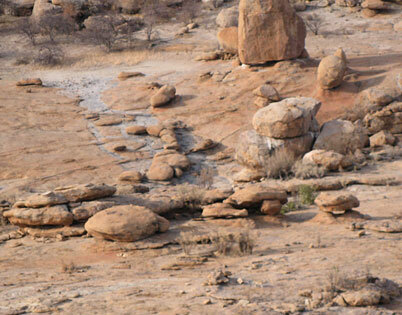 Thereto, the association wants to find committed companies and private sponsors in German-speaking countries for the huge conservation project of the EMRST and the ERONGO directory. The association is registered at the register of associations at the local court of Bielefeld under the register number VR 4311. It is recognized as non-profit by the decision of the Finance Authority Bielefeld-Innenstadt as of 09.09.2013 - file number 305 / 5974 / 2571 - and may therefore issue receipts. 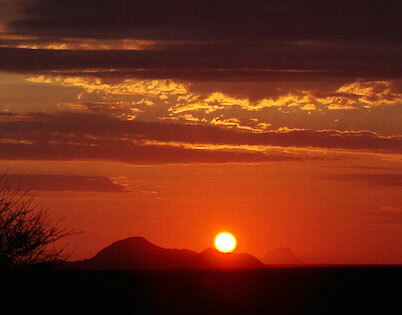 Association of the Erongo Mountain Rhino Sanctuary Trust of Namibia e.V. On the following pages, we want to inspire you regarding the conservation project of the ERONGO MOUNTAIN RHINO SANTUARY TRUST OF NAMIBIA and to win your support, to be committed to its work and the ERONGO directory for African hunting game.